Welcome to The Way Study Center. 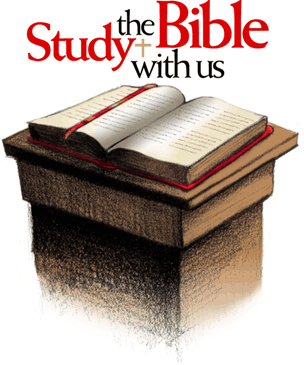 Within this page, you will find Bible Study lessons and links to tools to help you grow and mature as a Christian. We would love to hear how your life has been impacted by the lessons. Email us: info@nhwo.org. Need prayer? Contact us at 1-855-974-HOPE (4673). A prayer counselor is available to intercede and pray for your need. We are here for you! Source of Power devotional and prayer conference call. The devotional lasts about 15-20 minutes. The number is 1-641-715-3580 enter code: 65334. Each day, there is a Bible topic for study and reflection. Without faith, our study concerning God would be futile. First, we must answer the question. Who is God? You may think this is a trick question, but it is not. The foundation for us growing in our relationship with God is understanding who He is. When we come to Him in prayer, conversation, or the Word, we really need to know who we are coming to and why. Click here for the full study guide. Are you on a journey to get to a wealthy place? According to Psalms 66:12, there are some things you will go through but God will bring you ought. The experiences of life are not intended to kill you; they strengthen you. With each challenge, you develop a deeper trust in the power of God to deliver, to comfort, to support and lead you. Financial struggles are not always due to lack of money but the mismanagement of that money. One of the tools I use to stay on track with budgeting is a weekly chart of income and expenses for each month. Every dollar spent must find a place on the chart. After the bill has been paid, I highlight it in yellow. At a glance, I can see exactly what remains that must be paid. The goal is for everything to be paid by the end of the month. Try using the chart for one month and let me know how well it works for you. Click here. When Jesus died, the middle wall of partition (the veil) that separated us from God because of our sins, was rent in two from top to bottom. The rent veil signified that we were no longer alienated from God because of sin. He destroyed the works of the devil and the sin issue. Through his blood, he paid the debt for our sins. Now, we can freely walk and talk with God again. We can "come boldly unto the throne of grace, that we may obtain mercy, and find grace to help in time of need." (Hebrews 4:16) Even more significant than access to God was the fact that we became the family of God. 2 Corinthians 6:18 states, "And will be a Father unto you, and ye shall be my sons and daughters, saith the Lord Almighty." Jesus established an open door for us. He provided a sense of family when he tore down the veil that separated us from God because of sin and introduced God as Father to us. Now we have a heavenly family and we are of the household of God. Continue... To download the complete pdf study, click here. Download the free app for your computer, tablet or phone. There are many devotional tools that will encourage you through the day. Choose one that is appropriate for you from the resources below. Download them to your mobile device or subscribe to receive them as an email.